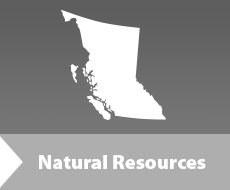 Feedback was invited on a public discussion paper as part of the timber supply review for the Quesnel timber supply area (TSA) until July 15, 2016. The Quesnel TSA is located in the northern part of the Cariboo Natural Resource Region, lying in the Fraser Basin and the Interior Plateau between the Coast Mountains on the west and the Cariboo Mountains on the east. To the west of Quesnel and of the Fraser plateau, the TSA includes the Itcha-Ilgachuz mountain ranges, to the east like the Quesnel Highlands, Barkerville, and the Cariboo River. A discussion paper was released on May 11, 2016. Feedback was welcomed on any issues related to the timber supply review for the Quesnel TSA. Comments will be considered by the Chief Forester in her determination for a new allowable annual cut. Additionally, citizens were invited to attend 3 informational open houses on June 6th, 7th, and 8th, 2016.